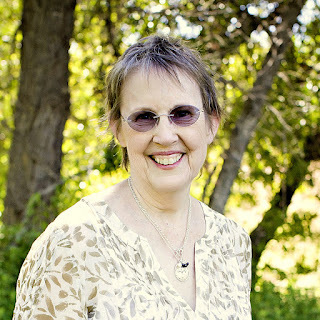 Janice Elaine Sews: I just got back from Quiltcon! 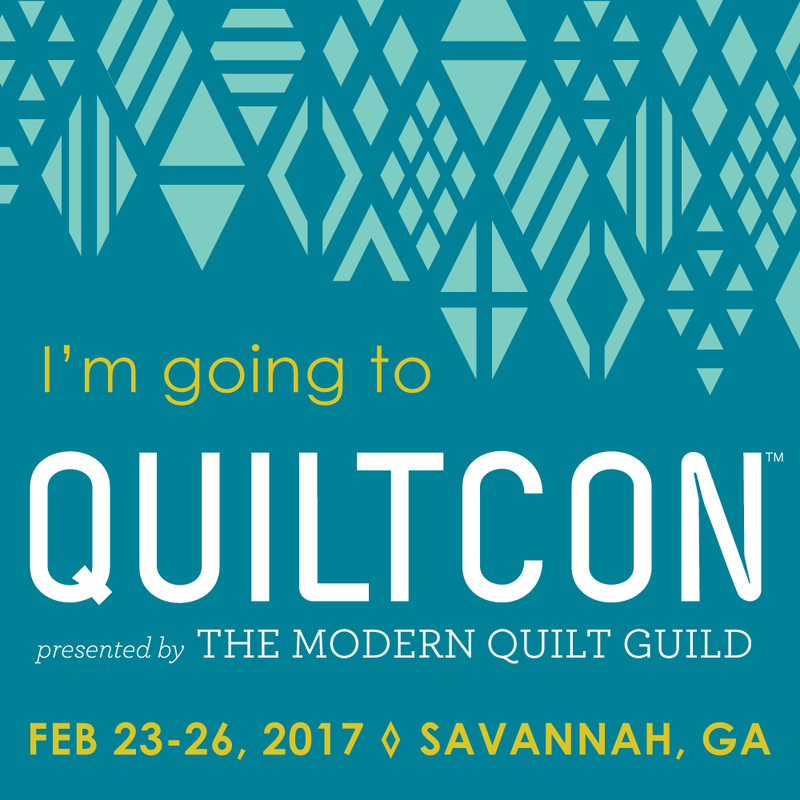 I just got back from Quiltcon! 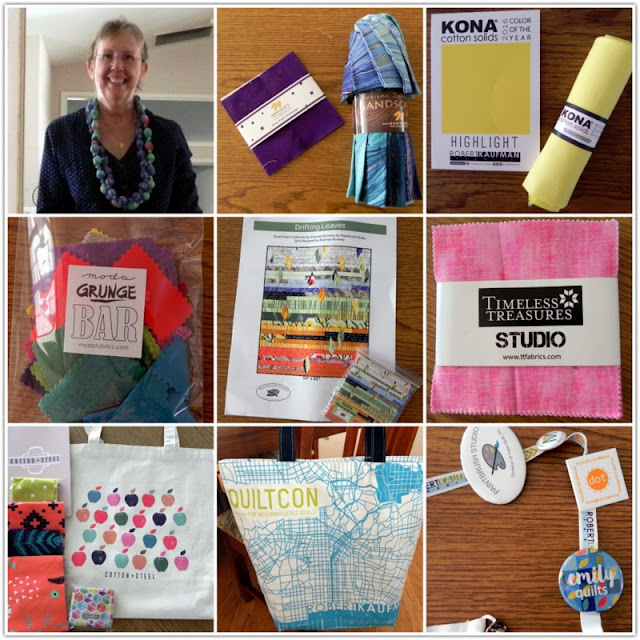 Quiltcon West was fabulous; I can't even begin to tell you what a great time I had. I've decided to do a series of posts to showcase all the wonderful quilts I saw. But first let me tell you a little bit about my experience. When I decided to attend Quiltcon, I didn't know anyone and I thought I wanted to make it more than a day trip, so I volunteered to help however I could. On Wednesday, before the show opened, I helped hang the quilts and then steamed them, from noon to 4 PM. After working in retail, I'm an expert steamer and it was a lot of fun. After that, I checked into my hotel. The second day, Thursday, I was initially assigned to the workshop area. Before classes started I helped put water in huge containers then transport them, one at a time to the classroom for the tie-dye class. I then visited all the classrooms and made sure all the irons were plugged in. They were all good to go except for one. Those four irons were a challenge to get plugged in, but I did it. Next, I took attendance in two of the workshops. We were asked to be non-intrusive! They wanted to be sure everyone was there and no one extra who hadn't paid. All that took the first two hours of my 8 hour shift. Still on the second day, I walked the quilt display wearing white gloves. When quilts are on display, there are signs that ask the viewers not to touch the quilts. The white glove wearing volunteers are there to touch the quilts, usually to lift a corner so people can see the quilt back. I walked over 3 miles amongst the quilts, helping people and lifting the corners, that day. On Friday and Saturday, I helped “man” the doors then take tickets and stamp the hands of the people who just had day passes. Attendees who were attending multiple days had a badge in a holder, to get them in and out of the displays. After the rush, I had white glove duty, again. Both of those shifts were from 9:30 to 1:30. Those “short” shifts were very welcome. On Sunday, I had not signed up to volunteer, so I spent a couple of hours wandering the vendors and collecting some loot. I had a two hour drive home. I collected my dogs from the pet sitter, boy is it great to be so loved! This is a collage of the loot and winnings I got on the show floor. I also want to say that Modern Quilters are a nice bunch of people. They were happy 99% of the time. At the hotel, the bell captain asked when we'd be back and said it'd been a pleasure having us. LOVE that Kona yellow!!!! It sounds like you had the perfect plan! Volunteering/getting involved is the absolutely BEST way to meet people....especially if traveling by yourself (and probably the safest!). Great post!!!!!! !